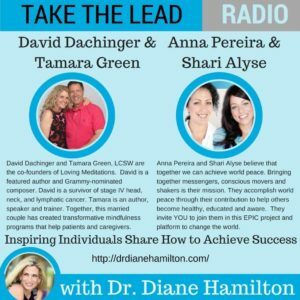 Listen Now – A fun and information packed interview with Dr. Diane Hamilton. Founders of The Wellness Universe Anna Pereira and Shari Alyse share who WU World-Changers are and how we are changing the world. A great interview that will inspire you and have you smiling. Jam packed with uplifting content and fun!